We offer a rotating selection of eleven craft beers and one draught cider. We also have a wide variety of bottles and cans. 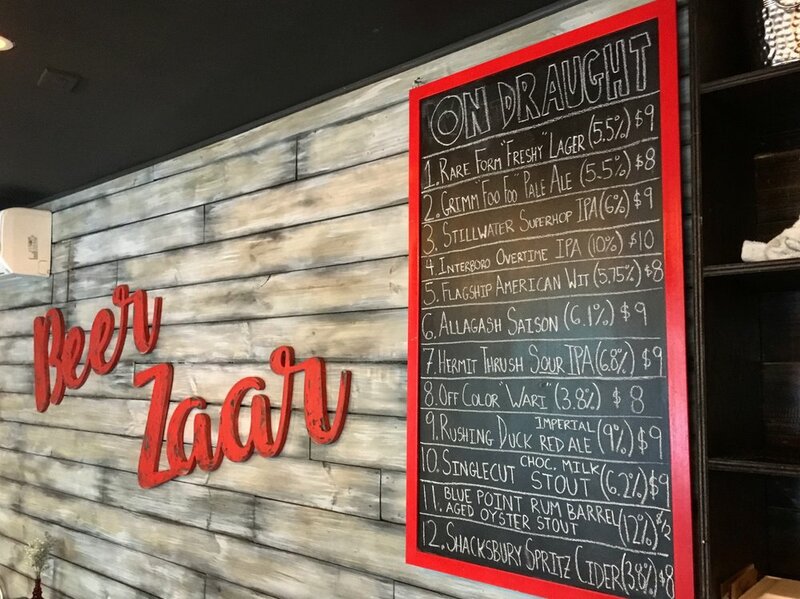 While the draught list is in constant motion, the taps are organized stylistically... so you can always count on there being your favorite style of beer!